BELTSVILLE, MARYLAND, December 20, 2018–Beekeepers and researchers will welcome the unveiling of the small hive beetle’s genome by Agricultural Research Service (ARS) scientists and their colleagues. The small hive beetle (SHB) is a major parasite problem of honey bees for which there are few effective treatments. The SHB (Aethina tumida Murray) genome–a genome is the sum total of all an organism’s DNA; a gene codes for a single protein to be built–is available at https://www.ncbi.nlm.nih.gov/genome/annotation_euk/Aethina_tumida/100 and was recently published in GigaScience. 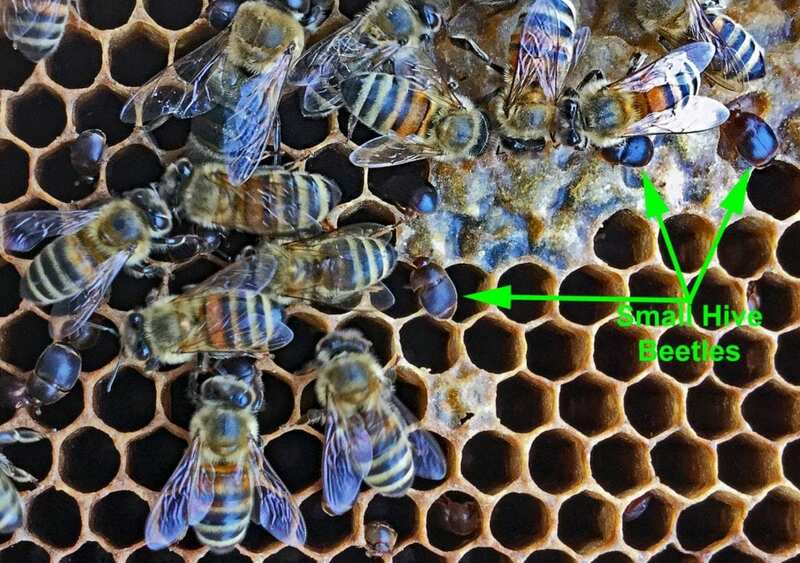 “The big challenge is identifying control methods that will target SHBs but not harm honey bees,” said geneticist Jay Evans, who ran the project and is also leader of the ARS Bee Research Laboratory. “One strategy is to look for insecticides that hit pathways in the genome where the SHB has few or no detoxification genes. It would be even better if an insecticide could be identified for which the honey bee has detoxification genes but that the SHB doesn’t. Completing the SHB genome takes on even more importance when you realize that among the SHB’s close relatives are the destructive and invasive Asian longhorned beetle along with other sap beetles that are pests of sweet corn, tomatoes, strawberries and other fruit and vegetable crops.